It’s almost that time again! 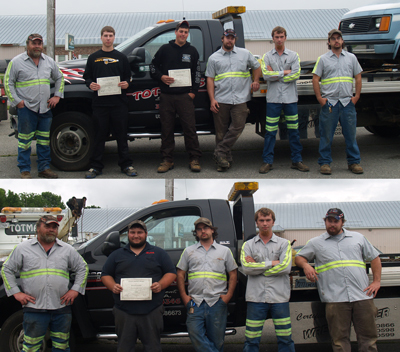 Each year Totman’s will award at least two scholarships to qualifying Waldo County Technical Center students graduating and continuing their education in the Auto Tech, Auto Body, Diesel Tech or Welding career areas. Every parent who is trying to educate their child in this economic climate knows that every dollar counts and we want to help. Applications will be available on January 1, 2015 on this website and in the WCTC office. Contact Susan at (207)342-4346 or via email at susan@totmans.com or Nikki at (207)342-2886 or via email at nikki@totmans.com with any questions. It's Sunday 8:28 PM — Sorry, Auto Repair is closed, but we're Always Open for towing!